The Surgical Oncology Clinic specializes in surgical procedures for patients with gastrointestinal cancer, lung/esophageal cancer, and melanoma/sarcoma. Your surgical oncology team will work closely with you to find surgical options best suited to your individual needs so you can feel confident in your treatment decision. Review your medical record including X-rays and test results from any tests or biopsies. Discuss the potential need for a biopsy to accurately diagnose the disease and determine its stage. If surgery is a part of your treatment plan, your surgeon will explain the recommended treatment options, answer your questions, and help you feel comfortable with any upcoming procedures. For a patient with cancer, the goal of surgery is to remove the tumor, when appropriate. When the tumor cannot be removed completely, surgery can ease pain or remove obstructions that the tumor causes. For some patients, surgery is the only form of treatment. For others, we may recommend surgery in combination with radiation therapy or chemotherapy. Patients should ask their referring physician or hospital to have all medical records sent to UT Southwestern Medical Center. We will have access to any medical records for any procedures performed at UT Southwestern. Because you’ll be getting a lot of information, it’s a good idea to take along a family member or friend to help you take notes and remember what your care team says. Valet parking is available in front of the Seay Building. 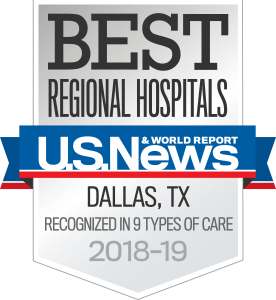 We are part of the Harold C. Simmons Comprehensive Cancer Center – the first and only medical center in North Texas to attain National Cancer Institute (NCI) designation.